While you wait for Flappy Bird to make a return, it may be worth looking elsewhere for an addictive substitute. Threes! is the latest contender for your gaming hours. It seems the winning formula for making a game these days is a simple goal, but difficult gameplay. No, there aren’t any levels here or graphics that will blow you away, but that’s the beauty of it. 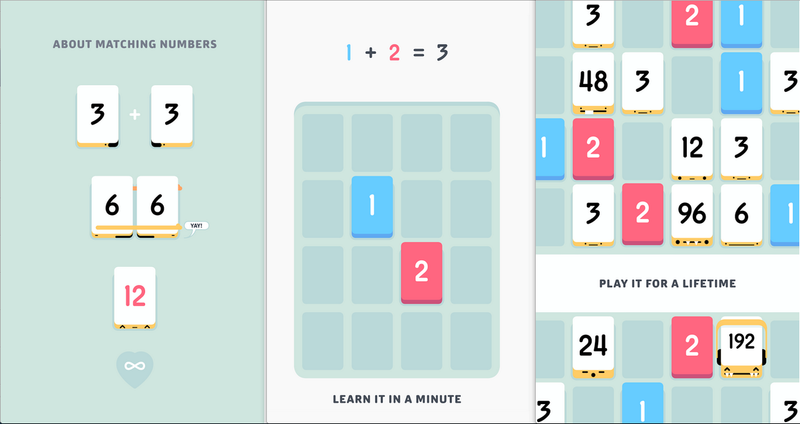 The object of the game is simple: add ones and twos to make threes, and from then on add two of a kind to make an even larger number. Take for example matching two threes — you’ll end up with one six, and if you have another six that you can move this six to, you can make 12. Your ultimate goal is to beat your friends’ scores, so you won’t find an intricate level-up system or bosses to face in this game. After every time you make a move, an additional number is added to the board, so you have to carefully make your moves so your board doesn’t get filled before you hit a high score. Some users have mentioned that they’ve had trouble getting Threes! to work with ART, so keep in mind that you may have to switch back to the default Dalvik runtime to be able to play the game. We’ve been jealous of this game’s iOS time, so it’s safe to say we’re ready to give in and try this Android implementation out. Threes! is now available on Google Play, and for $1.99 (a 33% discount from the usual price), a new addiction may be worth it.